Download funny monster vectors as vector art file. Simple shapes can make cool cartoons. 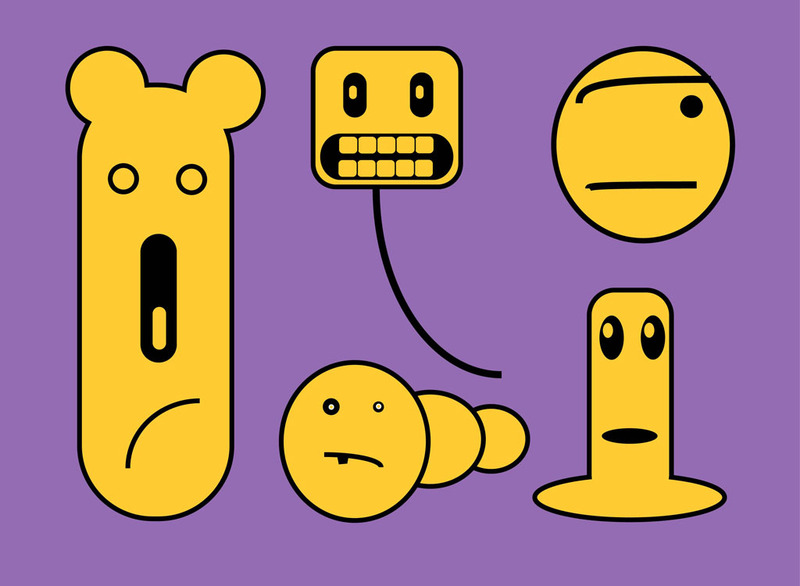 This vector graphics set of 5 cartoon characters are all members of the blob monster family created by vector artist João Filipe Cunha. Cool comic illustrations to enhance your design projects. Download for free and have fun! Tags: Cartoon, Character, Emoticon, Fun, Funny, Monster, Smiley.